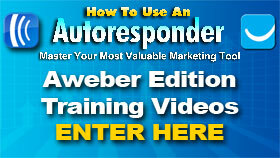 My brandable Aweber & GetResponse training videos allow you AND your customers to master either OR BOTH of these autoresponder programs. Sample videos and detailed description of every video inside. 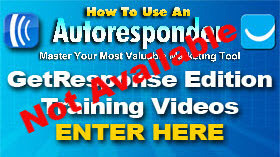 Selling your own video products is one of the keys to a successful online business. But it is time consuming and costly!